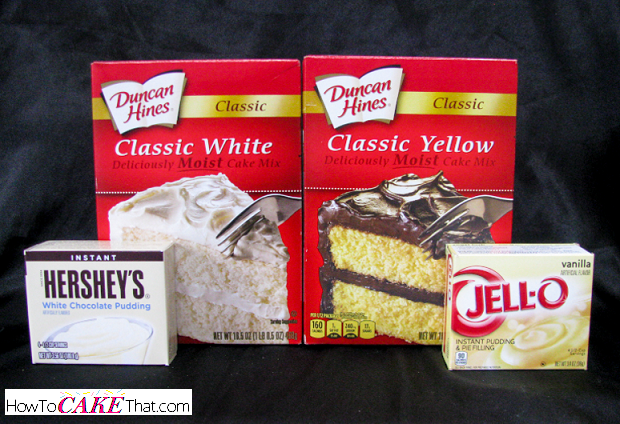 Begin with a box of Duncan Hines cake mix and a box of Instant Pudding (3 to 4 oz. size) in a flavor that compliments your cake mix. Next, add 1 1/4 cups of liquid. This liquid can be water, milk (I do not recommend because it can give off a strong dairy taste, but it will work), soda, coffee (goes great with chocolate cake), or even bottled or freshly squeezed fruit juice! If using a strong citrus juice like lemon or lime, be sure to only add a small amount of juice (about half of a cup) and make up the difference with water to equal 1 1/4 cups. Note: if you'd like to add a stronger or unique flavor to your cake, extracts can be added - try a few drops to a teaspoon or two. Or candy oil flavors can be added as well! LoRann makes some great candy flavors, and Wilton has now come out with Treatology flavor system! For candy flavors, a few drops go a long way... so use just a tiny bit at a time! Create something unique, get crazy! 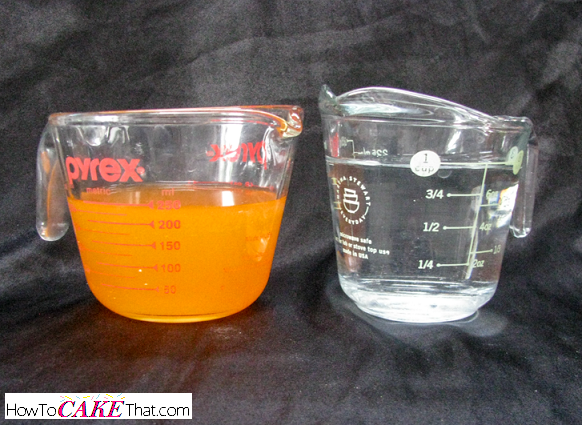 And adding extracts or candy oils does not count against your 1 1/4 cups of liquid. Plus, don't forget herbs and spices!! Add four whole eggs. 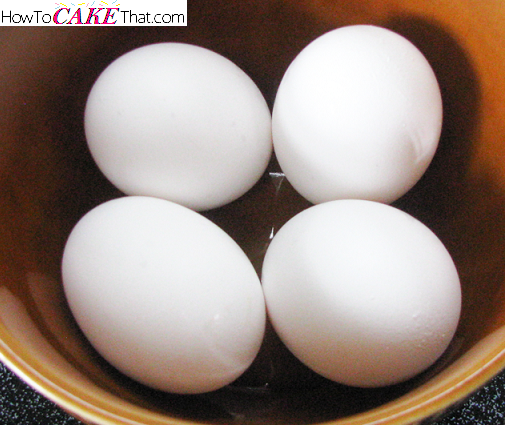 Four egg whites can be used instead if making a white cake. Now to add the fat. My preference is to use 1/2 cup of vegetable oil. 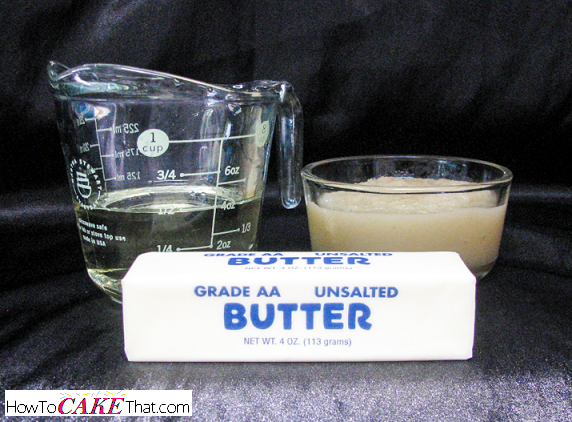 But 1/2 cup of melted butter, applesauce, fruit puree, mayonnaise, sour cream or yogurt can be used. This ingredient is totally optional, but 2 to 5 tablespoons of cake flour can be added to the mix to make the cake's structure a little more sturdy. 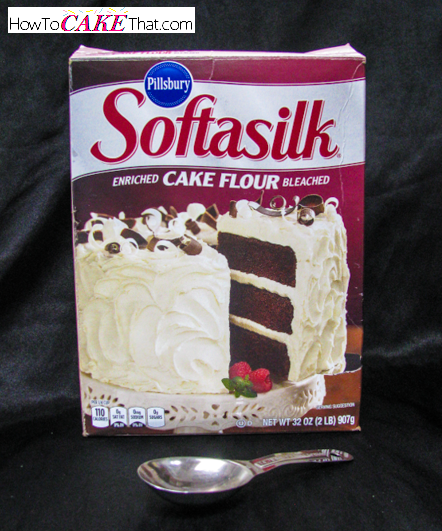 I recommend adding at least two tablespoons of cake flour if you plan on making a cake that will need to be carved. If making cupcakes, bake them at 350 degrees in the oven. 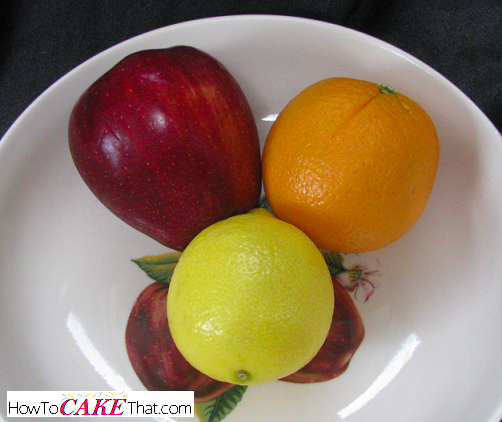 For cakes, bake them at 325 to 335 degrees until done. And that's my favorite formula for doctoring cakes! Get adventurous and create any flavor you can imagine! I hope you have enjoyed this tutorial! God bless!